The goal of HighPerMeshes is to develop a practically usable domain-specific framework for the efficient, parallel and scaling implementation of iterative algorithms on unstructured grids. Simulation software in the time domain, that falls into this category (e.g. TD-FEM, TD-DG, network simulations), has increasingly been used in scientific and industrial domains in recent years and complements or supplements comparable methods on structured grids. With the results of this project, developers can with moderate effort extend existing source codes in high-level languages by domain-specific library and language elements. The intelligent compiler infrastructure uses domain knowledge to enable performance optimized, highly parallel execution on all relevant modern hardware architectures (Multicore, Manycore, GPU, FPGA), also in heterogeneous systems. Thus, the project offers to many HPC developers from science and industry an easy and sustainable path towards scaling usage of the most efficient current and future target architectures. Paderborn University (UPB) will be represented within the project by the Paderborn Center for Parallel Computing (PC²). PC² was founded in 1991 as an interdisciplinary institute of UPB and since then has established a reputation as a competence centre for parallel and distributed computing and innovative computer architecture. Two research groups whose heads are affiliated with PC² will contribute to the project. 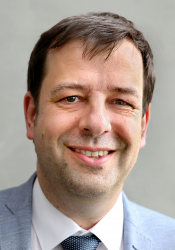 The High-Performance IT Systems group headed by Prof. Christian Plessl contributes expertise in the area of design methods and application of FPGA-based custom computing technology to scientific computing problems. The Theoretical Electrical Engineering Group headed by Prof. Jens Förstner contributes expertise in the area of the theoretical description and simulation of photonic and optoelectronic systems. The key expertise of the group is to combine advance material models with state-of-the-art numerical simulation methods of electromagnetic fields. Friedrich-Alexander University Erlangen-Nürnberg (FAU) is a strong research university and one of the largest universities in Germany, with 40,000 students and 4,000 academic staff (including over 570 professors). HighPerMeshes' project partner at FAU is the Chair of Hardware/Software Co-Design. Here, the Architecture and Compiler Design (ACD) group headed by Dr. Frank Hannig contributes expert knowledge in the fields of domain-specific computing and programming languages, as well as compilation techniques for parallel processor architectures including accelerators. The Fraunhofer Institute for Industrial Mathematics ITWM at Kaiserslautern is one of currently 66 institutes of the Fraunhofer-Gesellschaft, an application-oriented research organization. Fraunhofer ITWM focuses on the development of mathematical applications for industry, technology and economy. Mathematical approaches to practical challenges are the specific competences of the institute and complement knowledge in engineering and economics in an optimal way. The Competence Center High Performance Computing contributes expertise in the development and application of innovative new software tools like the communication library GPI-2 for the efficient and highly scalable implementation of parallel software. contributes expertise in the development and application of innovative new software tools like the communication library GPI-2 for the efficient and highly scalable implementation of parallel software. The Zuse Institute Berlin (ZIB) is a non-university research institute of the State of Berlin. In close interdisciplinary cooperation with the Berlin universities and scientific institutions Zuse Institute implements research and development in the field of information technology with a particular focus on application-oriented algorithmic mathematics and practical computer science. ZIB also provides high-performance computer capacity as an accompanying service. In the Supercomputing department advanced programming tools and flexible runtime environments for complex application settings are developed targeting emerging technologies like heterogeneous many-core systems. The Numerical Mathematics department develops efficient modelling, simulation, and optimization tools and algorithms for challenging application problems from medicine, systems biology, molecular dynamics and nano-optical systems. CST is a market leader in delivering 3D electromagnetic (EM) field simulation tools through a global network of sales and support staff and representatives. CST develops CST STUDIO SUITE, a package of high-performance software for the simulation of EM fields in all frequency bands. Its growing success is based on a combination of leading edge technology, a user-friendly interface and knowledgeable support staff. CST solutions are used by market leaders in a diverse range of industries, including aerospace, automotive, defense, electronics, healthcare and telecommunications. CST is part of SIMULIA, a Dassault Systèmes brand. Further information about CST is available on the web at www.cst.com. Kaskade 7 is a finite element toolbox for the solution of stationary and transient systems of partial differential equations. The library is written in C++ and utilizes template meta-programming to achieve flexibility and efficiency. It is based to a large extent on the DUNE (Distributed and Unified Numerics Environment) core modules. The Kaskade 7 code is under active development by the "Computational Medicine" research group at ZIB. Two application examples implemented with Kaskade 7, modeling cardiac electrophysiology and elastomechanics, serve as case studies in the HighPerMeshes project.